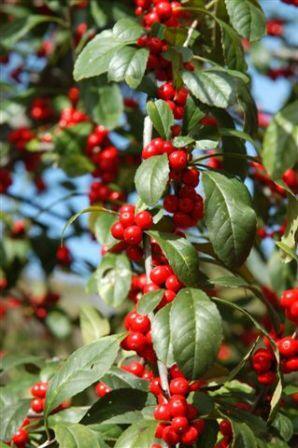 NATURAL HABITAT AND PREFERRED SITE: Yaupon holly grows in the moist acid woods of the Pinelands, also on the prairies throughout Southeastern Texas. It is a well-adapted tree to a variety of soils from sand to clays, can take fairly moist soil but is, on the other hand, quite drought tolerant as well. Common in low woods and thickets along streams. 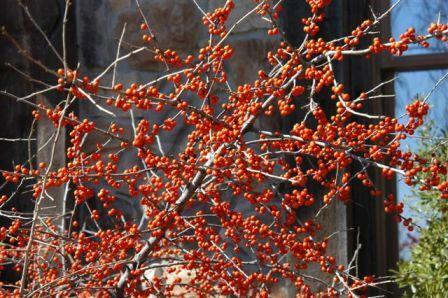 It is the most abundant native holly in Texas although its kin, the possumhaw, (Ilex decidua) has a wider range. Both can grow in sun or shade.